Round 8 that turned out to be the most decisive round so far with 2 won games and 1 drawn game. 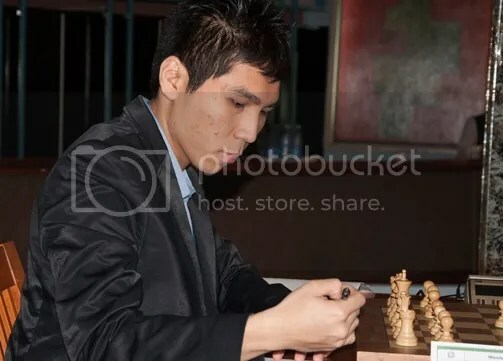 The 3rd seed Wesley So now with 5.5/8 (+3-0=5) points extends his lead to a full point with GM Bruzon Batista, Lazaro(CUB)2682 the new 2nd placer after R8 with 4.5/8 who won his game versus Vallejo Pons, Francisco(ESP)2700 in 38th move of French defense. The third game of the round, also a French defense game, between GMs Almasi & Ivanchuk ended in a 57th move. What a sweet revenge by GM Wesley So against GM Dominguez, who on 21 Jan 2014 @ Tata Steel 2014 (Master’s Group/’A’-Group) in Wijk aan Zee also in R8 was defeated by the latter in just 21 moves. This time, GM So got his revenge and victory in their Sicilian, Najdorf (B90) encounter that lasted in 64th move when Domínguez seeing a queening white pawn was imminent, resigned. Live ratings of GM Wesley So (PHI)2731), Tournament Performance Rating (TPR) and his scheduled opponents until R10. GM Wesley So, already had gained a +13.6 in rating points and increased his Live rating after R8 to 2744.6, now his “Personal Highest Live Rasting” that propelled him to #15 in the Live Chess Ratings of the Top chess players in the world. @ http://2700chess.com. His Tournament performance rating (TPR) after R8 is 2859. With just two rounds left (R9 & R10) @ Capablanca Memorial 2014, Wesley So @ 20 … the youngest among the 6-participants is getting closer to the title. 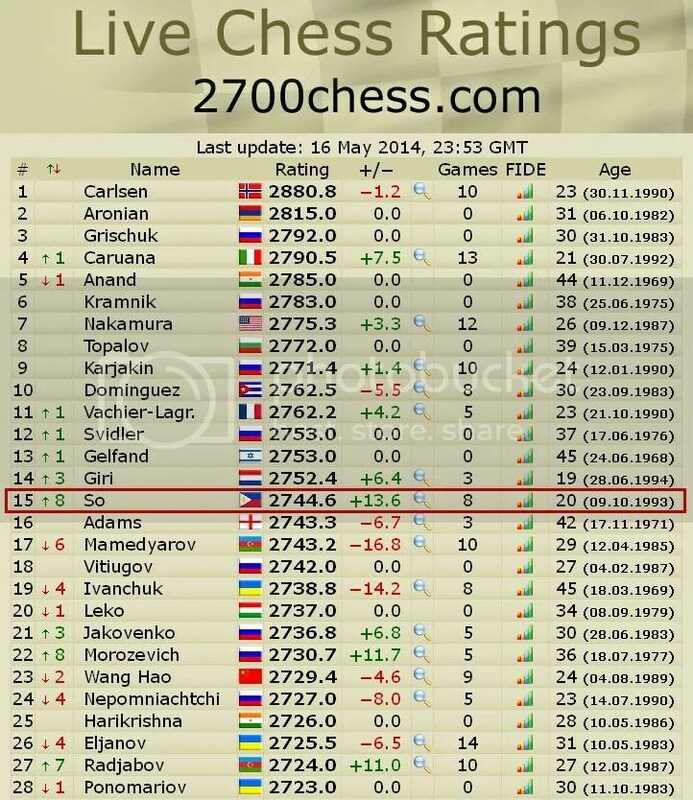 His last two opponents would be GM Ivanchuk, Vassily(UKR)2753 (R9) and GM Almasi, Zoltan(HUN)2693 (R10). From the sideline, GM Susan Polgar, Wesley So’s coach at Webster U had kibitz this to Barangay Wesley (BW) @ chessgames.com.